If one considers the original Anselm notion of “understands” and applies this within Spinoza’s vectoral conception of power as agentizing action, then I think that the Ontological argument comes clear. I wrote once, a long time ago off the cuff that God is simply the Principle of Coherence and it is silly to try to prove coherence. That is somewhat close to how I understand Anselm’s argument. 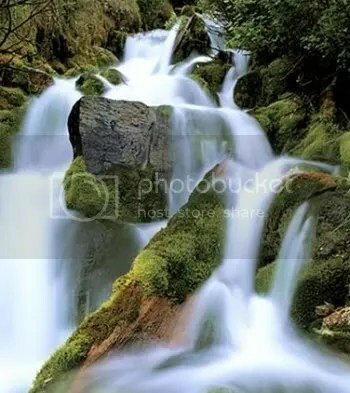 As for immediate transparency or intuition, I think things get muddled when issues of justification (which refer to criteria which are shared and historically contingent) are projected back onto experiences that are taken to be sure. As Wittgenstein helped point out, questions of doubtability are only germane to contexts of criteria use. 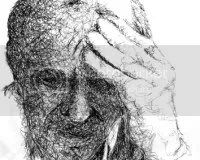 In a certain sense, talking about the doubtablility of whether I am in pain is a nonstarter, using one kind of language game where it isn’t meant to be used, creating a confusion as one seeks to crawl up under the rug of language. I don’t think though that this is the end of the discussion, because questioning whether one is actually in pain, or just in discomfort for instance, can be a informative self-criticism, and is not the case simply of using the wrong word; criteria is used, and reflexively so, but to locate the surety of a perception within an incorrigibility and to attach that incorrigibility categorically to a subject is an unwarranted leap, at least in my opinion. 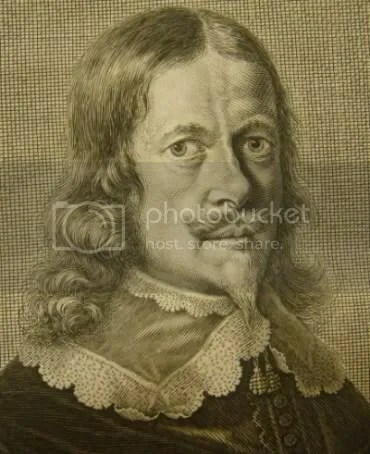 What a failure of subjective incorrigibility does for Spinoza’s argument for the direct experience of our immortality (E5p23s) is that once we let go of the necessity of a “subject”, direct experiences become more expressive facts of power and affect. If nothing is the authority of the claim, then the intuition becomes what it was in the first place, the coherence of power and affect itself, without need for an ultimate recourse to criteria. Criteria become what they are for someone like Vico, the historical circumstances and means of assembled power. What concerns me is that such King-stripping contains its own satisfactions, its own perverse little joy of “ah ha!” or “gotcha!” which is one of the immense pleasures of reading Zizek as he performs his psychoanalytic Judo again again and again like a sociological master. We see the flips, but what about his ground-game, who is going to tap-out from the ideological arm-bar? Don’t get me wrong, Zizek is a sheer pleasure for the contemplating, but I think I can sense of what makes him perpetually disappointed with his followers (without analyzing him). There is indeed the pleasure of interpretation, which makes his readings of films most satisfying, setting the battlefield upon every aesthetic surface. This is a good thing. 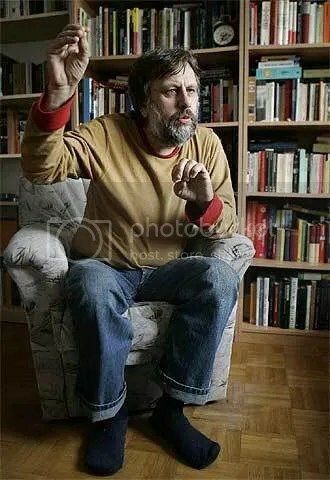 But it seems that Zizek feels a vital connection to his conclusions, his opera, that has an immediacy that others simply cannot match. This makes me feel that the path to “genuine” revolution, even that advocated by Zizek, is of the microscopic kind, the affective body-building of organizing powers which do not benefit so much from the Oz-defying adage “There is no Other of the Other” or even more enjoyably, “(M)Other”. One wonders if the phenomena of Zizek itself is best understood within a communitarian sense of constructive values, rather than in the ultimate satisfactions of the interpretive revelations that he champions. This is not to say that tracing the reservoirs of “enjoyment” cannot be a very good means of measuring social discourse and construction. Every objection to the claims of others seems to contain some element of an unstated objection to their hidden enjoyments. I think it wise to see that the organization of enjoyment is a primary guide to organizations of shared perceptions and actions. 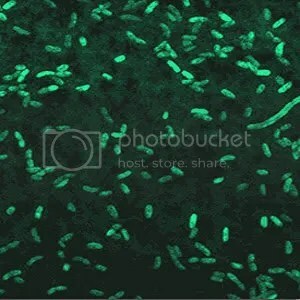 But dunotarian proclivities, it seems, could be folded into larger conceptions of constructive agency and action. 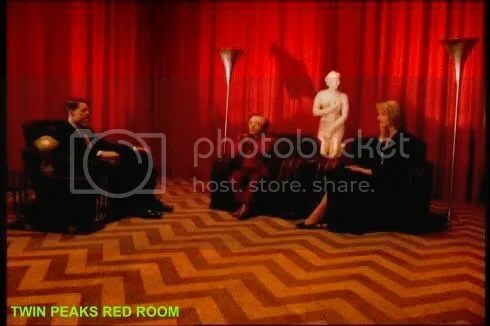 Is our fundamental realization supposed to be that we are locked in a red room? Is this the limits of our discursive and bodily imagination? In love for the pictured, yet still methodological investigation of ideas, I would want to direct you to Marc Ngui’s illustrative study of the first two chapters of Deleuze and Guattari’s (I really do want to write “Guattari and Deleuze” each time I see that coupling) a thousand plateaus: capitalism and schizophrenia. One cannot promise you that Guatarri and Deleuze’s dense, remarkable writings will be more understandable upon viewing these drawings, but they very well may be more enjoyable. And one really does need to reconsider any strict dichotomy which separates understanding from enjoyment. Inspiring. 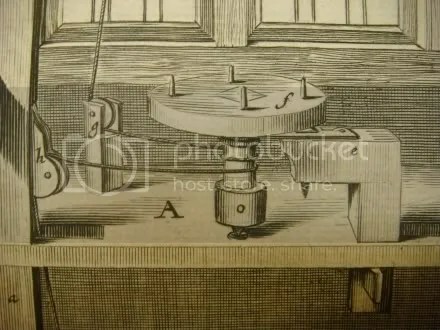 I mentioned in my recent post on the likely design of Spinoza’s grinding lathe that the dynamics of the Hevelius’ spring pole lathe may be tied to Spinoza’s ideas of Substance and the modes, such that one would be able to see how the epistemo-kinetic experiences Spinoza had during his many hours, days and years of lens grinding on such a lathe may have bore influence upon his metaphysical conceptions. Here I want to take up this intuition, and perform the appropriate visualizations that would allow us, if for a moment, to picture what Spinoza’s body went through in communications with his device. In this way we might place ourselves, materially and affectively, in a relationship to his ideas, such that reading them alone in text would not allow (even if this goes against what one could argue is Spinoza’s rationalist program of understanding). 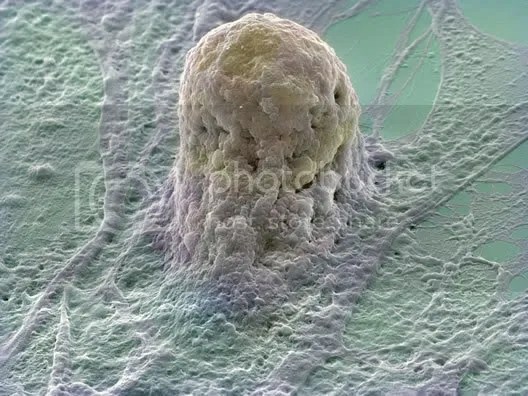 That is, in short, one hopes to understand through body and affect what ideas Spinoza thought at the most abstract of levels, through their causal origins; for we can follow what Spinoza wrote, “experience can determine our mind to think…of certain essences of things” (Ep. 10), and assume that a similiarity of experiences may determine us to think of a similarity of essences. If we attain the experiences Spinoza underwent which determined him to think of certain essences (in his terms), this I believe can provide clarification to the same thoughts reached through his geometric pedogogy alone. I would parenthetically add to Gatens and Lloyd’s point that the reason why Hegel is thinking solely about the verticality of the modes is that the binary of individual/God, (or individual/world) is one of the primary schemas of the intersubjective investigations and inculcations of European Christianity. 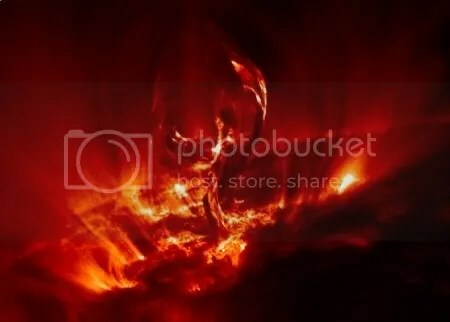 The salvation of the soul, through its relationship to an all-encompassing God, (via various institutional mediations), was the essential dogmatic concern, and this lengthy heritage necessarily brings the philosophical focus back to this binary difficulty: how does the individual soul return to God. 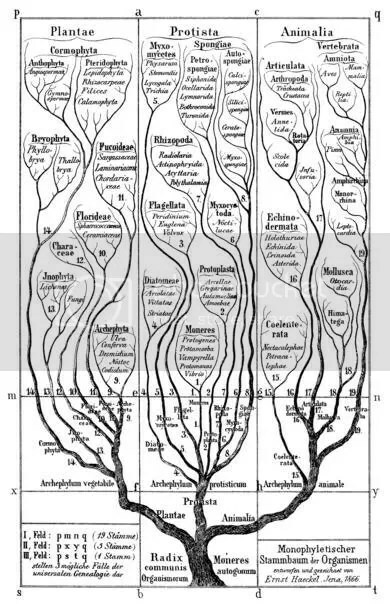 Hegel, because he sees man at the apex of history, primarily must read the problematic in terms of a vertical dynamic, the individual vs. the whole. But Spinoza, because he is not burdened by the primacy of man or his reflective powers, allows another dimension of analysis which Hegel cannot see: that of the horizontal. The institutional mediations of the State, Church, Family and their imaginary relationswhich simply interpose themselves as aids to an essential verticality, are by Spinoza exploded out to the ultimate horizontal limit: the infinite expression of the modes. And the imaginary status of their mediating ideas become proliferate and constitutive vectors of power, degrees of freedom, across the field of Being (if one could put it that way without too much obfuscation). 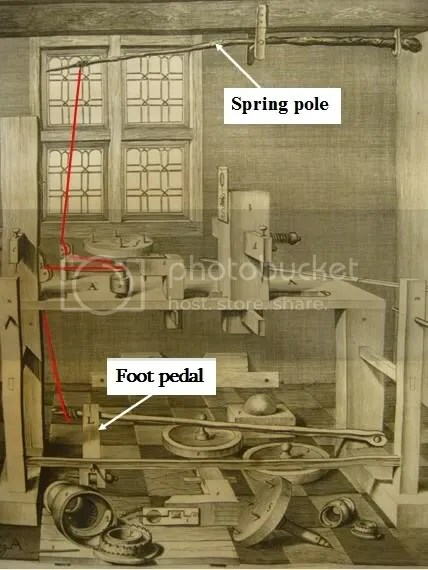 I want to return to the assumed spring pole, foot pedal lathe (pictured above), to get a much more concrete, affective sense of the vertical and the horizontal in Spinoza, and how the practices of Spinoza’a lens grinding may have helped construct his metaphysical conceptions. One must recall that Spinoza spent hours upon hours at such work lens work. 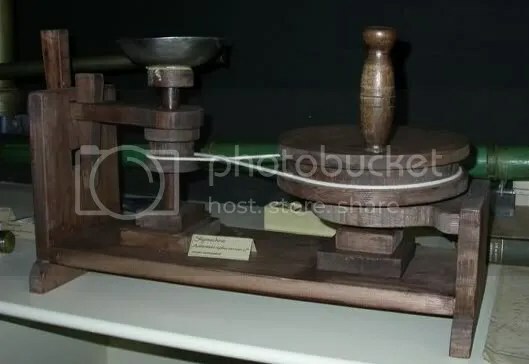 To grind, polish and re-polish a lens could take several days, much of it in non-stop and highly repetitive, one might even say meditative, action (Auzout in 1664 records a time of 15 days for a single objective lens). 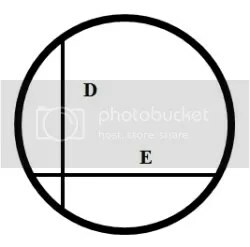 So let our attention be called to the internal dynamics depicted above, found in focus of the dotted yellow frame. 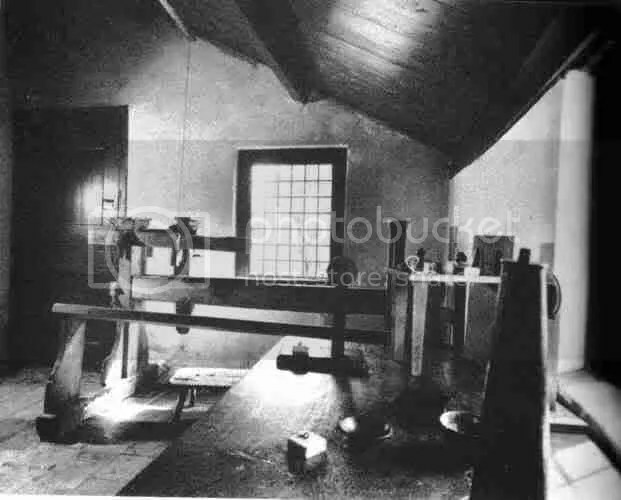 Here one should picture Spinoza seated or standing at length, his foot rhythmically pushing down a vertical tension from the spring pole at the ceiling. The vertical rising and falling motion forms a kinetic warp which not only works to orient the body spatially to the height of the room, connecting consciousness from the floor boards to the ceiling, but also creates and punctuated temporality, a timed ratio to the work. 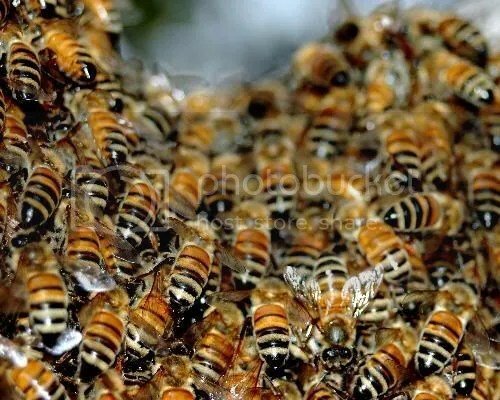 Transverse to this warp is the weft of horizontal action. 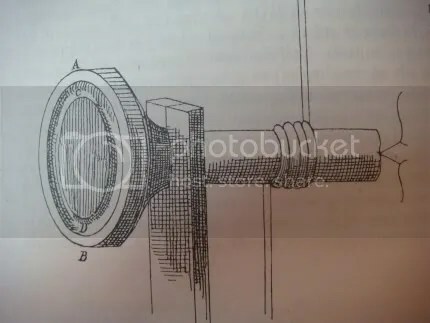 The oscillations of the grinding form are pulled across the body by the push and pull connectionsof the foot the ceiling pole, and distinctly lateral to the focus of concentration. Again and again for hours these up-down, left-right actions literally weave a room of fluctuating conscious attentions, in which the craftsman necessarily embraces the lived experiences of the space, aware that whatever precise spotlight of focus he may have, it is merely a part of much larger, wider degrees of perception. 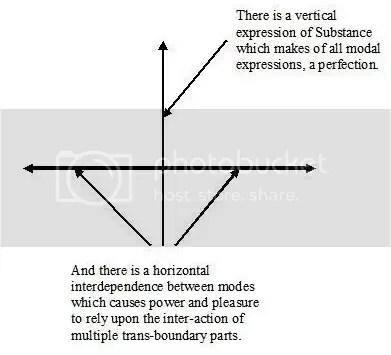 Against Hegel’s fear of an individual’s collapse into the undifferentiated, the agentized craftsman becomes the draw-string of every quarter of the room, a focal point of at least two vectors action, from which and to which he is a differentiated, yet interconnected and expressive part. The melding of the craftsman and his tool is more than a metaphor. It is an experiential and metaphysical certainty. Within this dotted frame of loomed space, at its center is a rotating circle. It whips at varying speeds in response to both the intensities of the leg, and the limits of the spring pole above, in a concentric motion. 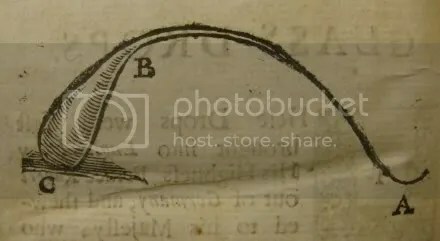 It is no secret that Spinoza had great love for the circle as a diagramed exemplar of the relationship between the modes and Substance (Ethics 2p8s, pictured below), but also as an ideal of vision and the actions of optical focus (Letter 39 to Jelles, March 3rd 1667). 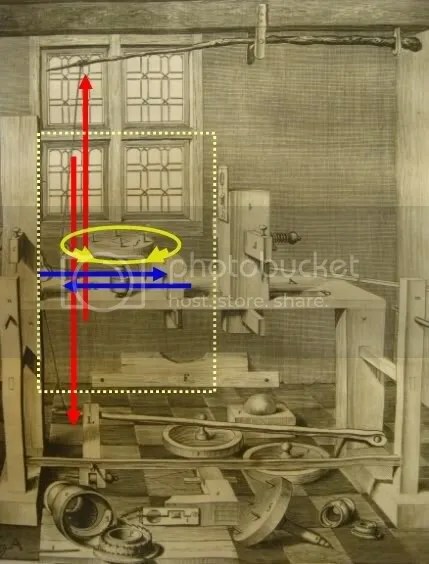 Here, for hours on end Spinoza would stare determinitively as a rotating circular form which remained both fixed (stable in its ratio), and changing, expressing in both the consummation of the vectors of the room’s actions. One cannot help but think that such concentrated attention upon the spinning form would leave at least a conceptual imprint upon the philosophical craftsman, especially as he considered the modal expressions to be causal interactions immanent to the whole, just as internal rectangles can be considered immanent to the properties of a circle (his diagram below). 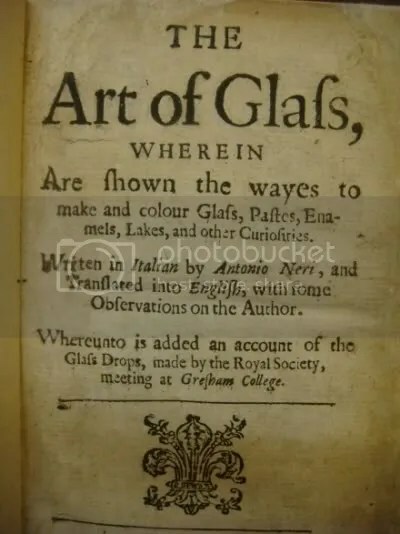 It is most suggestive to see that the rotating circular form becomes a bed of friction and idea, producing realized changes in the material of glass held in Spinoza’s sensing hand. 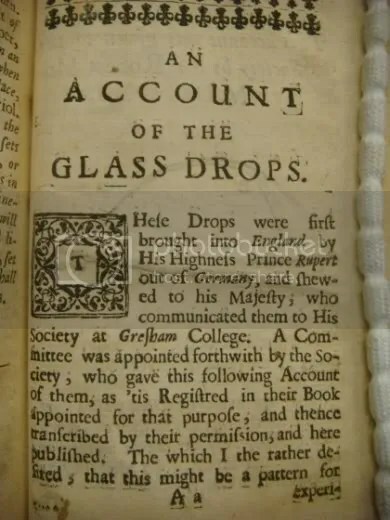 To carry our instructive analogizing further, one must look closer at the actions immediate to Spinoza’s attention as he worked his glass into the required shape. 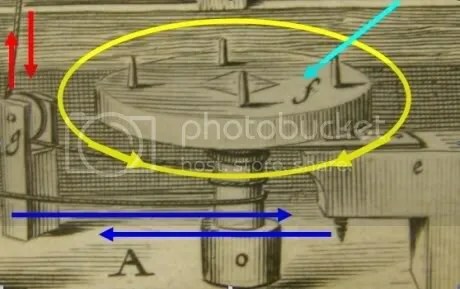 In the scalloped metal form likely an abrasive would be applied to aid in the grinding, the light blue arrow above represents the hand’s actions upon the circular rotation. 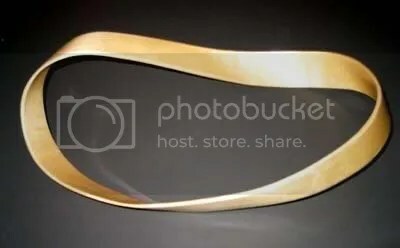 The horizontal and vertical tensions are vortexed into an oscillating circularity. There a recipe of frictions and intelligenced experiences interact to bring about an ideal result. What Antonio Negri calls the “concrete…unique terrain of reality, [the] fruit of the paradoxical determination [a metaphysical dilation of unity and multiplicity]” (The Savage Anomaly, 127), the modal “surface of the sea”, occurs here, in the turning scalloped dish, a product of the cybernetic expressions of a room, a mechanism, and man, in which the craftsman’s hand performs a living shore of perceptual action. The matter stands on the same footing as the making of material tools, which might be argued about in a similar way. 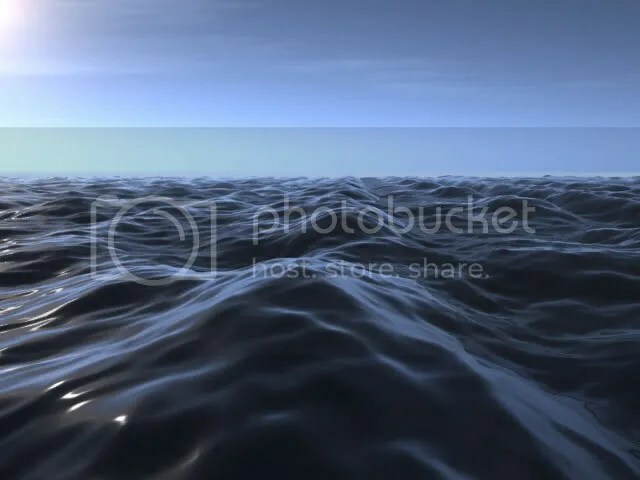 For, in order to work iron, a hammer is needed, and the hammer cannot be forthcoming unless it has been made; but, in order to make it, there was need of another hammer and other tools, and so on to infinity. We might thus vainly endeavor to prove that men have no power of working iron. But as men at first made use of the instruments supplied by nature to accomplish very easy pieces of workmanship, laboriously and imperfectly, and then, when these were finished, wrought other things more difficult with less labor and greater perfection; and so gradually mounted from the simplest operations to the making of tools, and from the making of tools to the making of more complex tools, and fresh feats of workmanship, till they arrived at making, with small expenditure of labor, the vast number of complicated mechanisms which they now possess. So, in like manner, the intellect, by its native strength, makes for itself intellectual instruments, whereby it acquires strength for performing other intellectual operations, and from these operations gets again fresh instruments, or the power of pushing its investigations further, and thus gradually proceeds till it reaches the summit of wisdom. Whatever so disposes the human Body that it can be affected in a great many ways, or renders it capable of affecting external Bodies in a great many ways, is useful to man; the more it renders the Body capable of being affected in a great many ways, or of affecting other Bodies, the more useful it is; on the other hand, what renders the Body less capable of these things is harmful. 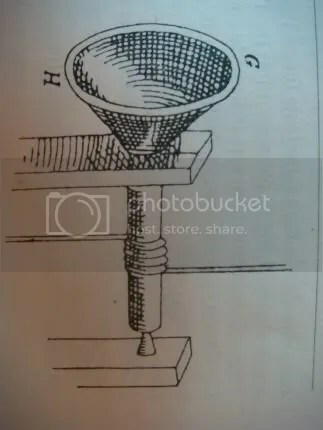 I believe that Spinoza’s lifelong craft experiences with the lens-grinding lathe (among so many other simple tools) had a lasting effect on his conceptions of Mind and Body, and their necessary unification. 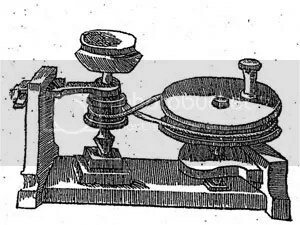 The grinding lathe, with its intimate, indeed cybernetic, interweave of body, mind and material construction, its concentric use of the spinning semi-sphere, must have struck Spinoza as sublime in the sense that Sennett tells us. There is the evidence of Spinoza’s resistance to the sophisticated, semi-automated designs of his brilliant and wealthy neighbors the brothers Huygens ( EP 15/32 ) which tells us that Spinoza was quite hesitant to leave behind the interface of the machine with the understanding and felt hand. But it is more than this. It seems that the grinding lathe leaves its conceptual, kinetic trace all the way up through to the most abstract, and most radical of conceptions. In fact there is the very real sense in which we may read Spinoza’s Ethics (as it exists both in idea and extension) as a tool which can affect and be affected in the greatest number of ways. Once we have a vivid sense of the kinds of material engagements Spinoza had concerned himself with, his bodily practices of concentrated creation and refinement, we get a better sense of how Spinoza conceived of his own Rationalist, propositioned philosophical aims. From there we can place ourselves with the lived historical space of the man who lived at the cusp of our modernity, and feel something of the material and pragmatic focus of his articulations of freedom. 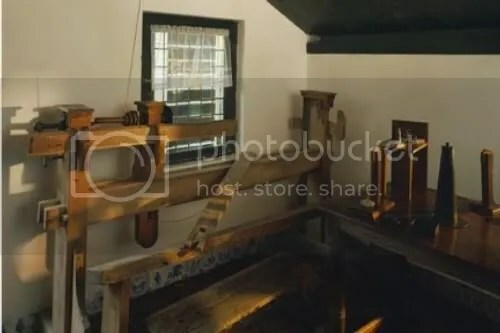 Below is Spinoza’s rented room in Rijnsburg where he lived roughly from age 29 to 31 having fled the upheavals of Amsterdam, perhaps with concern for the return of his tuberculosis from remission. It is today’s Spinozahuis museum. 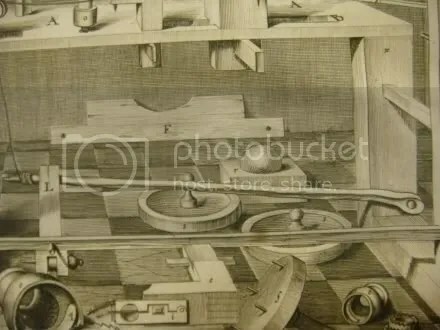 As mentioned before the wood turners lathe depicted there is NOT the kind of lathe Spinoza would have used, but if you look to the upper center left of the photo you can see a hypothesized spring pole, the vertical vector of his practice. 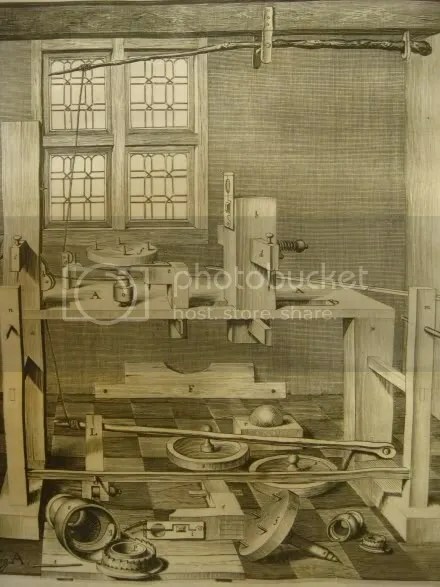 It is not known if Spinoza’s later rooms in the village of Voorburg, where it is thought that he did his most concentrated grinding work, were of this size, but the combination of the Rijnsburg room and Hevelius’s illustration gives us I believe some determinative sense of the internal dynamics of Spinoza’s lived experiences as a craftsman and thus as a thinker; they directs us to the material and conceptual causes that may have privileged Spinoza treatment of the Mind and Body over his predecessor, Descartes. There is much that divided these two thinkers from each other, but perhaps even more than joined them. 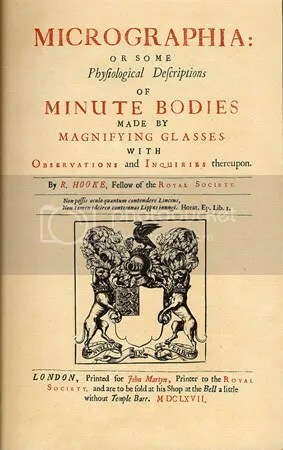 Each was concerned with lens-grinding, optics and the improvement of the telescope, but only one of them was a practiced maker of lenses and instruments. Only one of them touched the glass.